Generally speaking, a driver is required to inspect the cargo and make sure that it is compliant with federal regulations both before and during any trip. The federal rules require multiple driver inspections, not only of his or her truck, but also of the cargo. If the trucker is hauling intermodal equipment (i.e., a shipping container), he or she must also determine that the container’s chassis is locked securely. Rule 392.9 imposes additional inspection duties after the beginning of the trip. Generally, a driver must inspect his or her vehicle and cargo within the first 50 miles after beginning a trip. Additional inspections are required whenever the driver changes duty status, and when the driver has driven more than 3 hours or 150 miles. If the load shifts during transit because of improper packing or because it was not secure, there is strong evidence that the driver negligently performed the inspection. 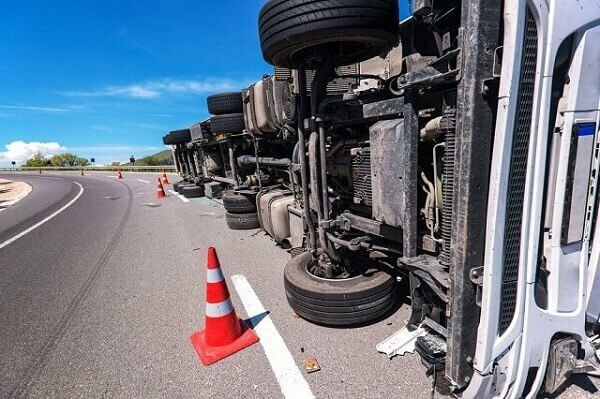 Because many rollover truck accidents involve only one vehicle—the semi-truck itself—there is often a rush to judgment as to whose fault it is. “It had to be the driver’s fault; who else was around?” Law enforcement officers, who aren’t always familiar with trucking regulations, may quickly cite the driver when in spite of the fact that the driver had no knowledge of the load at all, due to its sealed status. Transportation litigation is not for the faint of heart. It involves complex issues, specific and technical defenses, and can entail significant damage awards. It is important to retain experienced legal counsel who is comfortable and confident in that important specter of the commercial world. The Kerkman Wagner & Dunn, a Milwaukee business litigation firm with more than 50 years of combined legal experience representing business owners in Wisconsin, is ready to assist you. Our firm has big firm talent and provides small firm attention. Call us at 414–278–7000 or complete our online contact form.